Stacks is a feature firstly found on Mac OS X, which, as the name implies, "stacks" files into small organized folders on the dock - in our case, the Unity Launcher. Drawers is an utility that lets you create stacks (drawers) on the Unity launcher, a feature that was often requested but it hasn't been implemented in Unity, at least for now. 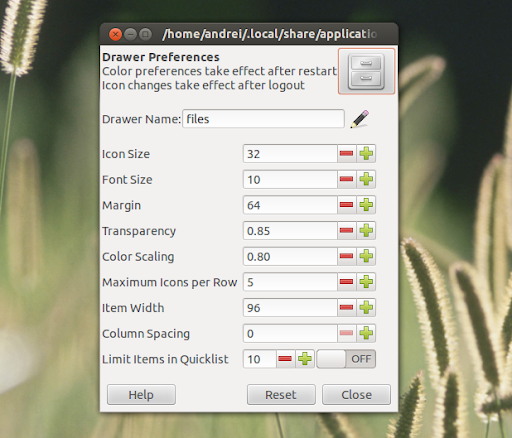 With Drawers, you can create launchers for Unity on which you can add applications, files, folders or links so you can, for instance, have a drawer for web browsers, one for work-related applications and one some important documents. 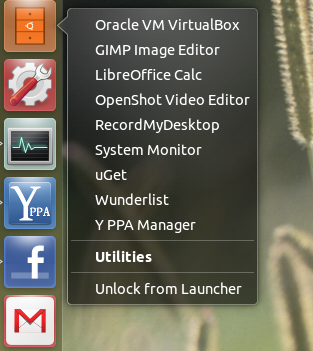 This allows you to have a well organized, uncluttered Unity launcher while having all the applications/files you need just one click away. To create a "drawer" or "stack", launch Drawers from Dash - you will be asked to enter a name for the new drawer -, after which the drawer will be created under ~/.local/share/applications/. You need to drag and drop this newly created drawer onto the Unity launcher. 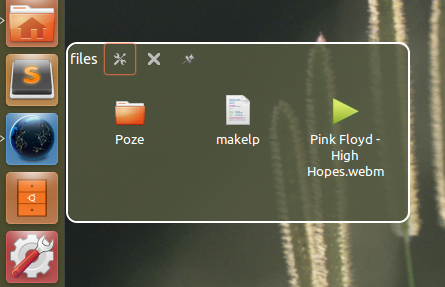 Left click the drawer icon and a small overlay window should show up - here, you can drag'n'drop the applications, files, folders or links you want. Initially, because the drawer is small, you won't see any buttons on the drawer window but once you add some items, you should see three buttons on the top of the drawer window, which let you access the settings, close the drawer or pin it. Note: the application doesn't currently support drag'n'drop from the Unity Launcher onto a drawer, so if you want to add an application, drag it from Dash and not from the Launcher. Also, open the drawer before dragging and dropping applications, files or folders or else it won't work. No Comment to " ADD STACKS TO THE UNITY LAUNCHER WITH 'DRAWERS' "